This is a picture of Dixie at 37 pounds in August 2008! 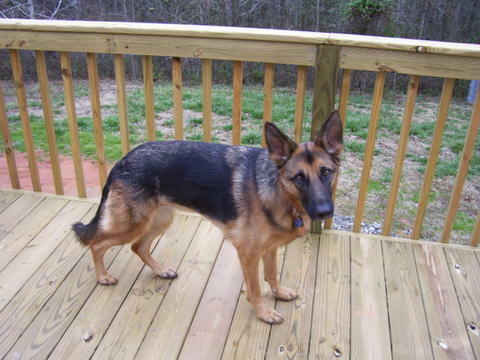 Dixie is a 2 1/2 year old German Shepherd Dog from South Carolina. These pictures are courtesy of her mom Melissa to share with others and to give hope ….that with proper diagnosis, enzyme treatment and a change in diet and management…..miracles can and do happen! 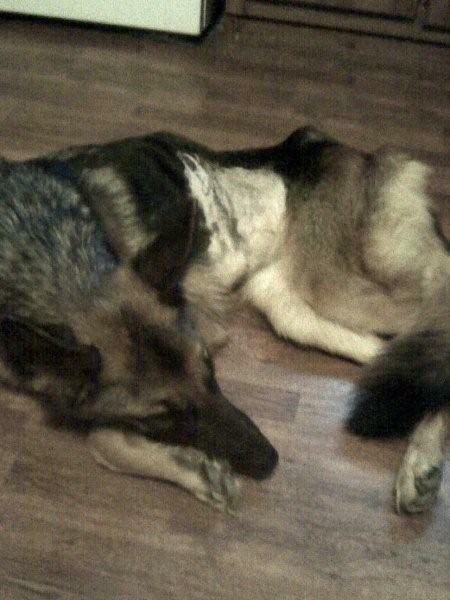 Dixie will always have EPI, will always need enzymes and a special diet but 6 months after being at death’s door…. literally!….she looks like a different dog….that can now run, play and lead the full life of a GSD.